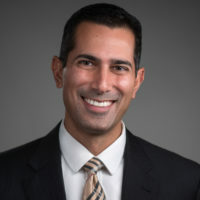 Dr. Ali Raja is the Executive Vice Chair of the Department of Emergency Medicine at Massachusetts General Hospital and an Associate Professor of Emergency Medicine and Radiology at Harvard Medical School. Dr.Raja received his MPH from the Harvard School of Public Health, holds MD and MBA degrees from Duke University and, after training in emergency medicine at the University of Cincinnati, completed a research fellowship at Brigham and Women’s Hospital. He is board certified in both emergency medicine and clinical informatics, and his research focuses on the appropriate use of ED resources. An international speaker on physician leadership development, he has negotiated countless agreements and – in his FIX18 talk – shares some of the techniques he has found most useful for difficult negotiations. Watch Dr. Raja’s complete FIX18 talk below!